What is a Phoroptor and how is it used? A phoroptor is among the different instruments used during an eye examination. This instrument is used to measure the patient’s refractive error and then determine the kind of prescription lenses that will be suitable for that patient. The device contains a series of lenses which are switched in front of the patient’s eye by the optometrist in order to determine eyeglass prescriptions. The phoroptor is mainly used once the doctor determines that you have a vision problem like nearsightedness or astigmatism. The special machine may appear imposing but it is very important since it helps to determine the particular vision required for the patient’s individual eyes. 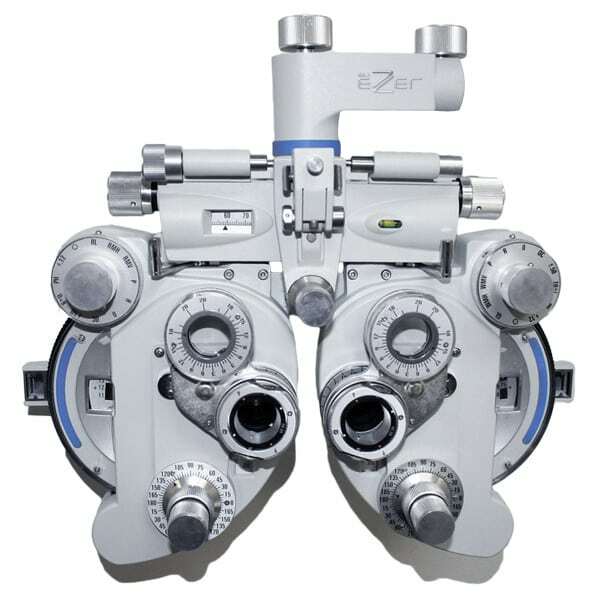 When using this device, the optometrist will switch the lenses and change some settings. In the process, the optometrist will get feedback from the patient in order to determine the lenses which provide the best vision. The main function of this special device is to determine how the lens should be curved and shaped so that the patient gets the best vision. This is what is referred to as refraction. It explains why lenses are switched when using the phoroptor. In most cases, the patient will be requested to sit behind this special device and then look through it. An eye chart is going to be placed around 40 centimeters from the patient who needs prescription glasses. Once the patient seats, the optometrist will change the lenses and other settings while gaining subjective feedback from the patient. As the doctor switches the lenses, the patient is going to be requested to respond to a series of questions. The doctor will want to find out how the patient’s vision is whenever the lens is changed. There are other instruments that can be used together with the phoroptor. They include the automated refractor and retinoscope. Other than measuring refraction, the special device can also be used to determine the natural resting position of the eyes. The same device can also be used to measure accommodative posture and amplitude as well as vertical and horizontal vergences. 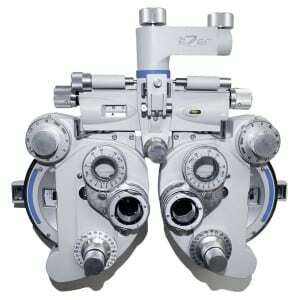 Once the measurements are taken, the optometrist will write the suitable eyeglass prescription. This prescription is likely to contain 6 numerical terms. They represent the sphere, cylinder and axis. In other cases, the optometrist will also write the papillary distance after taking the measurements. The phoroptor has lenses which refract light so that images are focused on the patient’s retina. The optometrist will change the lenses in order to determine the cylindrical power, spherical power and cylindrical axis all of which are required in order to give the patient the best vision. The refraction can either be measured manually or automatically. There are some digital phoroptors now available in the market. There are also technologies which have been invented to measure the refraction index automatically. Good examples are the autorefractors. The doctor will be the one to determine whether your prescription can be identified using this device. However, it is a safe and comfortable device that can accurately determine your eyeglass prescriptions. Author Bio: Tony Rollan provides consulting services to VSI (http://www.patternless.com/) and he is an author of many articles on all types of optical and ophthalmic equipment. Author talks about medicine, health, alternative healing, sport and well being.